The Air Force on Thursday announced the names of airmen who have been selected for promotion to chief master sergeant. 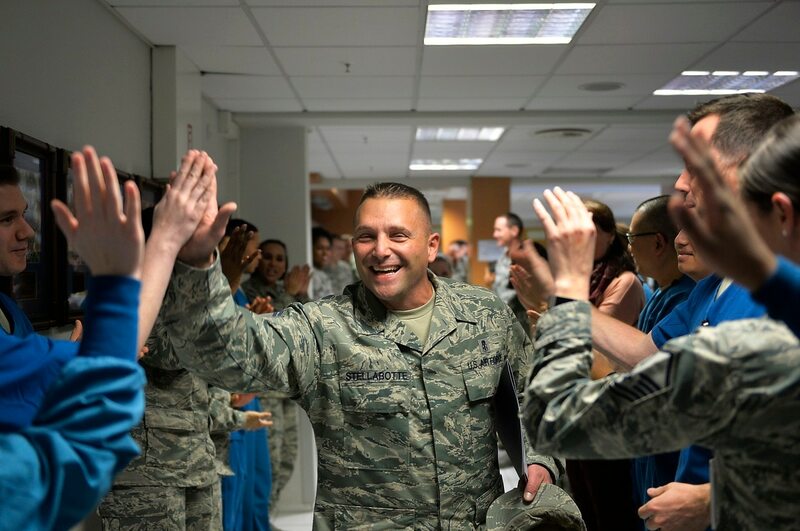 On Nov. 27, the Air Force Personnel Center announced that 479 out of 2,241 eligible senior master sergeants had been chosen to the Air Force’s highest enlisted rank, resulting in a selection rate of 21.37 percent. The E-9 selection rate for 2018 was slightly lower than the past two years, but was still higher than the rates during the drawdown period of the previous years. In Thursday’s release, AFPC said that the average overall score for selectees was 494.05. Selectees' average time-in-grade was 2.92 years, and their average time-in-service was 20.91 years. Their average decorations score was 24.19, and their average supervisory exam score was 74.11. The average board score was 395.75, and the average age of selectees was 40.83. Bases across the Air Force prepared to celebrate their newly minted E-9s. For example, Sheppard Air Force Base issued a release congratulating its five selectees — Senior Master Sgts. Trip Bolding, Christopher Craig, Keith Jones, Corey Park and Erlinda Schommer — and said a party will be held Friday afternoon. The selection rate is still higher than the lean years of 2013 to 2015, before and during the drawdown. The list of selectees can be found here.. The list omits the names of airmen working in intelligence, for the Office of Special Investigations, or in intelligence, surveillance and reconnaissance jobs, which require secrecy.